Special ceremonies to celebrate the 37th anniversary of the victory of the Islamic Revolution kicked off in Iran Monday morning. 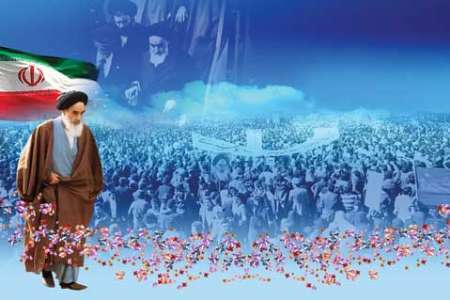 The arrival of the Late Imam in Iran on February 1, 1979 from his exile which last took him to Paris added new zeal to the uprising of the Iranian nation against the tyrant Pahlavi regime which culminated in the victory of the revolution just ten days later. The nationwide ceremonies to commemorate the arrival started at 09:33 local time, marking the hour the Late Imam’s flight landed at Mehrabad Airport in Tehran. Large groups of people from different walks of life, families of martyrs and officials gathered in the Late Imam’s mausoleum for the historic moment, IRNA news agency reported. The route the Late Imam took from the airport to Behesht-e Zahra cemetery in southern Tehran, where he addressed a huge gathering of enthusiastic audience, was showered with flowers by Army helicopters.